Dave Jordano is a fine-art and advertising photographer based in Chicago. 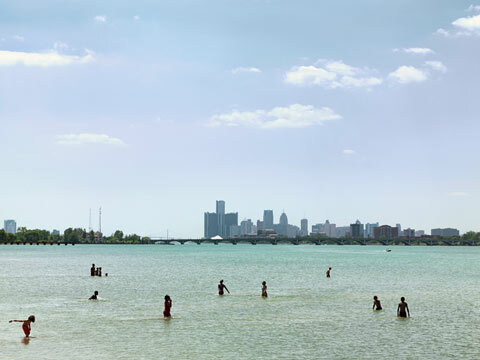 His series Detroit – Unbroken Down is an ongoing long term examination of his hometown Detroit. It was exhibited at The Amerika Haus in Munich, Germany as a solo show early in 2012. The Detroit Institute of Arts will show images from this project in December in a show titled “Motor City Muse: Detroit Photographs Then and Now” which will also include works by Robert Frank, Henri Cartier-Bresson and Walker Evans who have spent time working in Detroit at some point in their careers. The show will run from December 14, 2012 thru June 10, 2013. You’re originally from Detroit but now you live in Chicago. What in your own personal experience drew you to spend the last 2 1/2 years shooting this extensive project back in Detroit? 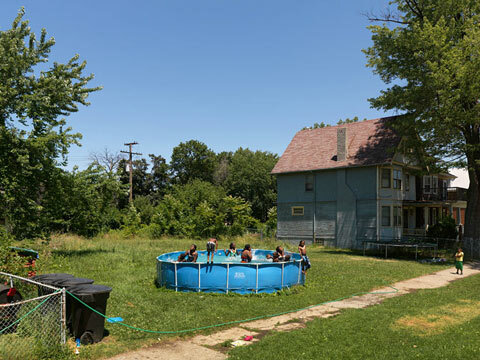 ‘I first went back to Detroit in 2010 to begin work on a re-photography project. I had made several architectural views of the city back in the early 70’s while I was a student at the College for Creative Studies. I went back to photograph the same locations after a 37 year absence to document the changes that had taken place. This re-acquaintance had a profound impact on me and it didn’t take me long to fall in love with the city again, so I’ve been going back ever since. I’ve made 16 trips there in the past 2 1/2 years. ‘I’m of the philosophy that you don’t pick your projects, they pick you. If you’re concerned enough about something it will ultimately surface and you will have to act upon it. 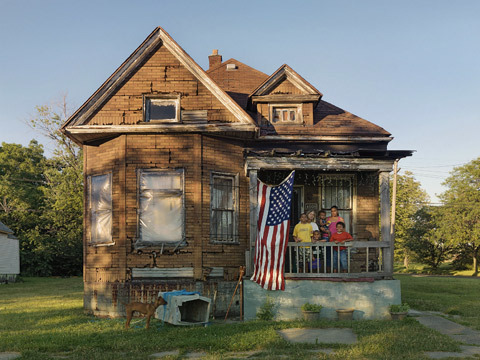 ‘So much work had been done in Detroit that focused only on its abandonment and economic decline. I saw this work as a form of pictorialism, in other words an attempt to create something beautiful out of tragedy, and in many ways this work carries more weight for it’s aesthetic qualities rather than revealing its real intent. ‘My work is a direct reaction to this one-dimensional approach and the bashing that Detroit has been subjected to over the past few years. I think having been born and raised there has had a definite effect on my attitude, in particular towards the direction of my work in that I felt I needed to reveal a more humanistic story about the city. ‘Detroit, in spite of having been turned into a post-industrial wasteland, is not just the city of apocalyptic death and decay that everyone has portrayed in the media, but a microcosm of several communities built on perseverance, clinging to the vanished ideals of an urban oasis that once hailed itself as one of the most beautiful and prosperous cities in America. How do you approach the city geographically, do you walk around or drive around searching for subjects? Do you research some of the stories ahead of time or are a lot of these subjects just people you come across? Are there certain subjects neighborhoods that are represented most in the project? ‘Yes to all of the above. Detroit is a large city geographically. It encompasses 143 square miles. That’s big enough to fit Manhattan, San Francisco, and Boston within its city limits. ‘In its heyday 50 years ago two million people were living within its borders. Now there are less than 720,000, creating a massive patch quilt of abandoned lots and urban prairies spreading throughout the city that consumes over forty square miles of space. That’s a lot of area to cover. I’ve often used up an entire tank of gas in one day just driving around searching for subject matter. ‘I also use the Internet searching for articles about the city. The Metrotimes is an excellent source for material as well as Detroit Blogger John’s site, which I have used many times. John does a great job covering the city unearthing interesting stories and deserves a plug here. We’ve communicated with each other a few times over the last couple of years and helped each other out on stories. ‘But to be honest, the majority of my work is done the old fashioned way by scouring the city by car. 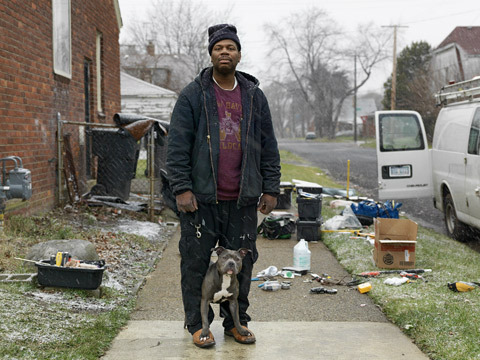 I do tend to work in neighborhoods that are more economically depressed as I find that the people who live in these areas tend to be more resilient, more resourceful, and more creative in terms of dealing with how to cope with their situation. You say that originally like many others you were drawn to photograph the decaying buildings and abandoned commercial real estate that so many photographers have already captured. What led you to abandon that point of view and shoot the project the way you did of people in their environments instead? 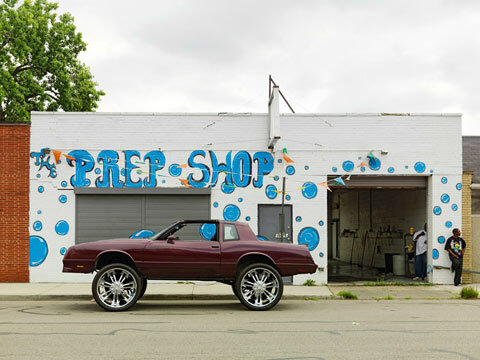 ‘It’s very easy to get caught up in Detroit’s visual landscape. The abandonment is so overwhelming that you can’t help but be drawn into it. It’s the first thing that hits you when you start to explore the city. ‘After being absent for over thirty years, I too was shocked by the dramatic change in the landscape, but after a week of shooting abandoned buildings I started to feel uneasy. By continuing on this path I was contributing nothing new about Detroit that most everyone else had already known, and my efforts to that point were plagued with guilt. How could this have happened to the city that I had such fond memories of growing up in and being around? There are a myriad of reasons of course, but the reality is that in the aftermath there still remains a human story. 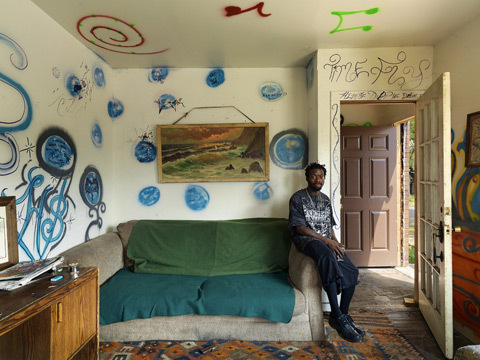 ‘I shifted my focus from abandonment and began looking at all the different neighborhoods in the city. People were struggling, but I wanted to share my experience in showing that Detroit was still a living, breathing, organism, full of life and movement. Many of my photographs have captions which tell more about the subject. Due to photography’s nature as being inherently ambiguous anyway, adding text gives more clarification, meaning, and depth to the story, so the text has become an important adjunct to the work. Your focus on subjects like the community gardeners, and the guy who has put effort into renovating and furnishing abandoned houses. When choosing subjects like this do you think about the image of the city that you want to portray in your project? Did what you encounter while shooting this project change your impression of the city at all? ‘As photographers we are faced with choices and those choices are dictated by our own impressions and feelings. ‘Was Detroit as bad as everybody was portraying? Perhaps, but I got the sense that even the poorest person I met still expressed an overwhelming pride for their city. And the more people I talked to the more it convinced me that there exists a collective mindset to try and improve ones life, either through grassroots movements or individually. 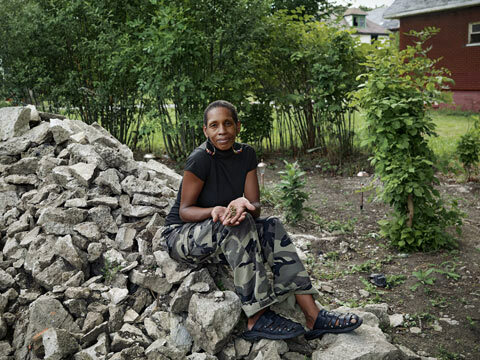 ‘Detroit is considered a food desert (not one national grocery store chain within its borders), so community gardens pop up all over the place. There are literally hundreds of them staked out on abandoned lots. You would never see this in more affluent neighborhoods. 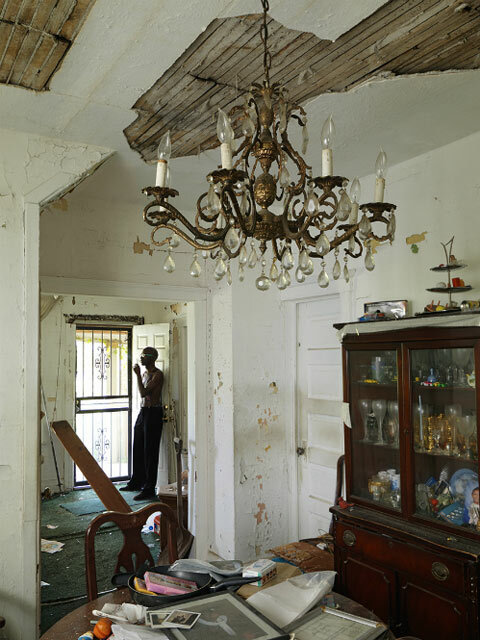 ‘For me the story of Detroit is not about what’s been destroyed, but more importantly what’s been left behind and those who are coping with it. Detroit may look abandoned but under the surface there is plenty of life. Did you feel unsafe while shooting this project? ‘No, I never have. Perhaps I’ve been fortunate, especially if you listen to everyone who has warned me about being in the city, people who are residents themselves. ‘Every city has crime and I think that Detroit is no worse than any other major metropolitan city. The perception is that Detroit is riddled with crime and that no one should ever enter the city limits without protection or after 10pm. 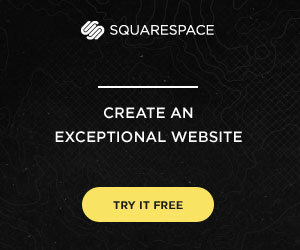 That depends entirely on where you go and the nature of your particular business. Anyone can find trouble if they look for it. ‘I’ve found that being cognizant of your surroundings and responding to your sixth sense will guide you through. At least that is what I would like to believe. I’ve been in situations where I’ve failed miserably to try and make a connection, and for whatever reason it just didn’t work out. At times like that you back out gracefully, say thank you very much, and move on. Tell me about the portrait “Tom Sitting in the Door of his One-Room cabin”. ‘I met Tom after reading a story about him on Detroit Blogger John’s website. I wasn’t exactly sure where he lived since the story only hinted at his location. I went on Google maps and searched high and low around the area I thought he might be living in. I finally found an image that showed a small portion of the cement wall he lived next to (from the one reference photo in John’s article). 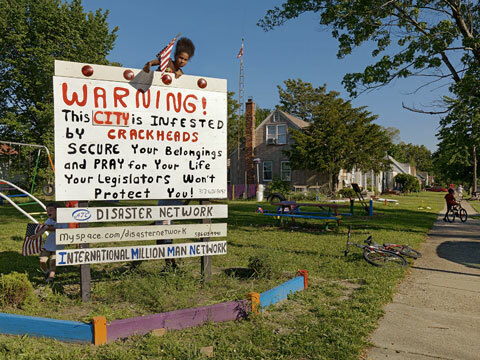 It turns out that Tom has been living at this location for the past ten years, at first high atop a fifteen foot abutment overlooking the Detroit River. 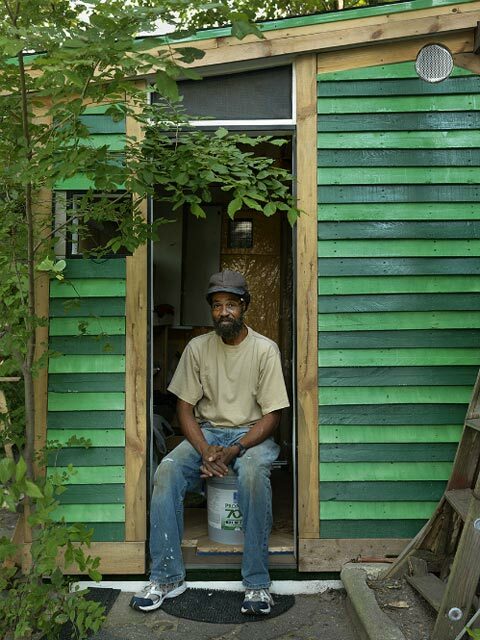 He has built three small houses to live in, each without electricity, heat, or running water. This particular house was the second and largest he has made, measuring approximately six feet by ten feet. 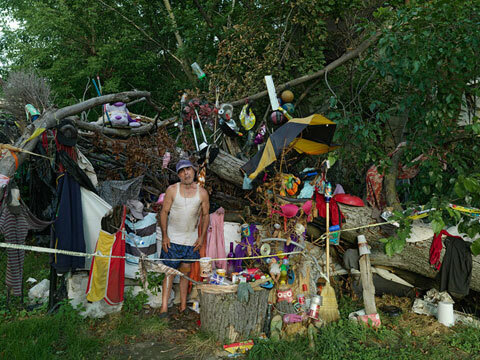 ‘He finds all of his supplies from discarded materials left in construction dumpsters. It took him about six months to build this house. It has a bed with an insulation shield he can pull down for cold winter nights, a toilet equipped with plastic bags for waste removal, build-in shelving, ventilation ports, sliding front door with a screen, and a compartment for fresh water. Tell me about the shot of the boys doing riot control training in the parking lot? Did you just happen upon this scene? ‘I first saw the cadets marching down the street in formation. They stopped under a tree to take a break so I stopped and asked the Drill Sargent if I could photograph them. At first he refused but I kept the conversation going until he finally agreed. ‘I had no idea what they were going to do until I watched them cross the street into the empty parking lot and they started practicing their “rushes”. I knew this would be the shot I was looking for. The police academy often train their cadets in open public spaces to foster better public relations with residents in the neighborhoods. This group of cadets was the last graduating class to go through the rigorous training process and the city has curtailed any further hiring due to budget cuts. One interesting part of the project was the series of white women prostitutes that you entitle “Darkness in the Light.” Can you talk about your process shooting this part of the project and why you made the decision to include just white women in this series? 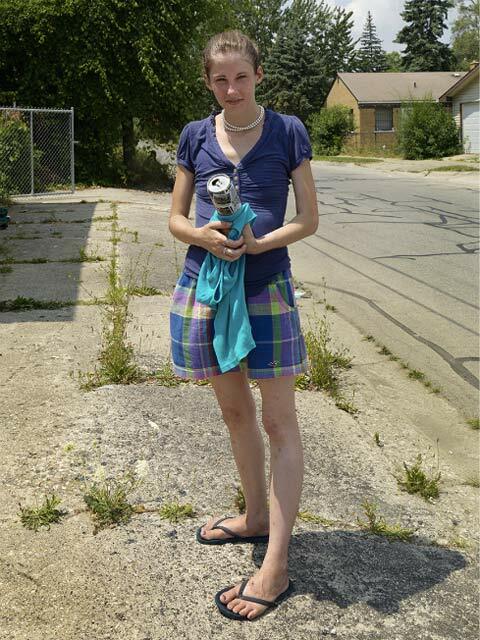 ‘I’ve been to many major cities but I have never seen such an open display or proliferation of street prostitution as I do in Detroit. It’s no secret that the subject of prostitution and drug addiction are one of the two most photographed subjects in the documentary genre. I didn’t want this work to be, “Oh God, not another expose on drug addicted prostitutes”, so I approached the concept with the idea of making simple portraits, photographs of woman who’s identity might be misleading or ambiguous at first glance. ‘By reducing the portrait to these basic terms, much like a snapshot, these woman could be considered as just friends, loved ones, family members, or just normal people on the street, but in reality their lives have been torn apart by the uncontrollable grip caused by addiction. I see them as honest and heartfelt portraits of women who have become victims of a chronic social problem. ‘I chose white women specifically for the simple reason that ninety percent of the woman I see on the street are Caucasian. This is at odds with a city whose population is nearly ninety percent African American. The direct correlation between these women and the streets are the locations of the heroin and crack houses that are so prolific throughout the city, making it easy for these women to buy their drugs. ‘I know of four areas in the city where the majority of women congregate. I’m convinced that if all the drug dealers were removed from these areas you would see a dramatic dropoff of woman on the streets. Police intervention is oddly minimal and tolerance seems to be an accepted practice by the police force. Do you think you will ever complete this project or is it something that you see yourself working on for a long time to come? ‘This is certainly the largest body of work I’ve produced to date, but one that I’m very personally attached to. In that respect I don’t know how long I will continue to work on this project. 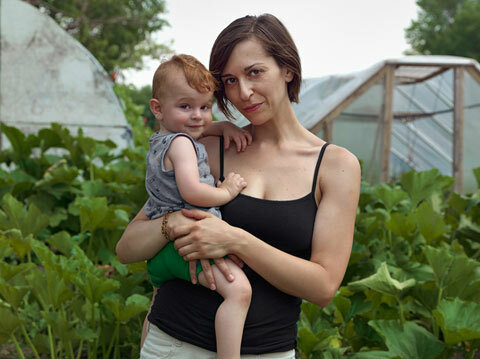 This post was contributed by photographer Laura Barisonzi.